What's the most glamorous beer you can get? Chimay? Jaipur IPA? Blue Moon? You must be joking — surely the most glamorous beer is the one with a genuine Hollywood pin-up who once dated Elvis? 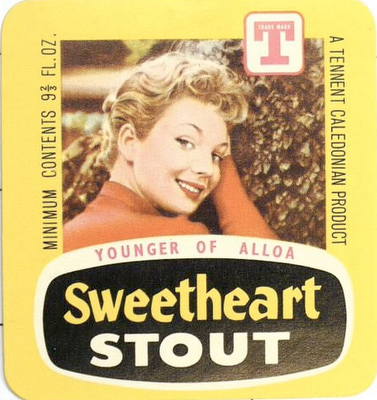 I'm talking about the legendary, the incomparable, Sweetheart Stout. I was in my favourite jakey pub recently and the landlord told me that Sweetheart Stout in bottles has been discontinued. It's a terrible shame to see one of the last few remaining iconic bottled beers disappear from Scottish pubs; although realistically, I expect it disappeared from most of them ages ago. There's nothing iconic about the Peroni or Miller Genuine Draft that's replaced them. But in the pubs that fashion passed by, Sweetheart Stout miraculously clung on, soldiering on on dusty pub shelves while all its contemporaries were quietly rationalised away: McEwan's Blue Label, Fowler's Wee Heavy, screwtops of Whitbread and McEwan's Pale Ale, victims of declining sales and the brewers' indifference to their own heritage. It was never modernised or brought up to date, and precisely that was its charm. It certainly wasn't the taste, which is reminiscent of a mixture of flat cola and the unfermented malt drinks you get in African food shops; nor was it the laughably low alcohol content of just 2%. You can still get it in cans — the bottles had been restricted to the on-trade for years already — but it's just not the same. Its whole appeal is the bottle with its charming retro label, essentially unchanged since 1958 and still carrying the name of the brewery that created it, George Younger of Alloa, even though that brewery has been closed for almost as long. And of course, adding somewhat faded Hollywood glamour is the pin-up picture of sometime starlet Venetia Stevenson, making Sweetheart Stout the drink of choice to sip in Glasgow's equally faded Art Deco bars like the Steps or the Portland Arms. In 1957 Venetia was chosen as "The Most Photogenic Girl In The World" in a publicity stunt run by Eastman Kodak and Popular Photography magazine and judged by Ed Sullivan. 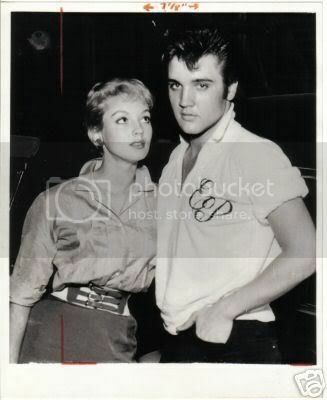 On seeing her on Sullivan's show, Elvis invited her to, ahem, "visit" him at Graceland; modestly, he took her to see one of his own movies. She also played alibi girlfriend for Anthony Perkins and Tab Hunter when they were up-and-coming filmstars. 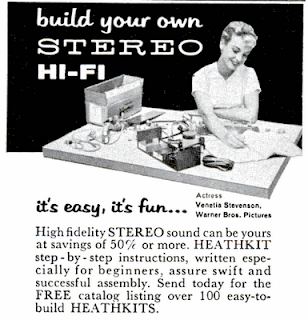 Miss Stevenson appeared in several B-movies in the 1950s and was also in demand for general modelling work – see her here demonstrating how to assemble your own hi-fi. Presumably a similar run-of-the-mill modelling job is how she ended up lending her face to a provincial brewery on the other side of the Atlantic. Ungenerous critics claim that her acting talent did not match her beauty, and she retired from the screen in the early 1960s after marrying one of the Everly Brothers. Miss Stevenson is, happily, still with us. I wonder if she knows her picture is still being used on cans of beer in faraway Scotland, over fifty years on? For those like me who have spent a lifetime dreaming of seeing the Sweetheart Stout girl in her underwear, here she is. I believe it was the late George Younger (former Tory Defence Minister) who selected Ms.Stevenson when he worked at the family brewery in the late 1950s. Used to drink this as part component of a 'Black and Tan' bottle of sweetheart stout with 80 shilling ale, wonderfull stuff. Cannot beleive I can't get a B&T anymore.